Make no mistake about it, the military judicial system is rigged in favor of the military and is therefore CORRUPT. It’s a closed system with their own lawyers, their own judges, their own juries and their own prison. The military justice system has virtually nothing to do with Equal Justice Under Law. 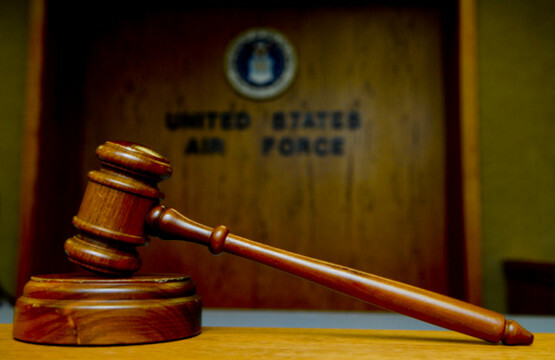 The military judicial system was designed to help military leaders maintain “good order and discipline” as they view it, and at the expense of truth, justice and proper application of the law. Think about it. The officer who brings the charges and convenes the court, also designates the jurors. Well, the military tends to make it look like there is separation between the jurors and the convening officer, but the jurors are part of the chain of command under the convening officer. That means the convening authority writes and/or approves career-making-or-breaking work-performance evaluations on each of the jurors. This enables the convening authority to manipulate the system buy indirectly or directly threatening a juror to provide to him/her the desired punishment for the accused. A threat from the convening authority can be fairly direct; “Hey commander, you’ve got a great career going, don’t blow it.” But, most of the time, the career-breaking threats are extremely subtle, or just plainly understood by the prospective juror. When a juror feels pressure from the convening authority, even if it’s ever so slight to yield a desired result, it’s called unlawful command influence (UCI). In the military, UCI happens everyday and twice on Sundays. Provable UCI means the command has overtly sent a clear message to one or all jurors for the purpose of influencing their decision process and ensure a conviction in the case of the Navy vs. Joe Schmoe. What people fail to realize is that “unlawful command influence” exists even when the convening authority (or his/her minions) do nothing, because of the way the system is set up. The tentacles of unlawful command influence is so ingrained in the military system that it insipidly chokes off any judicial fairness for the accused without anyone actually realizing it. Even though military policy makers have attempted to make it look like UCI doesn’t exist, it indeed does. Be the first to comment on "Military Judicial System is Rigged! It Frequently Disregards Truth that Causes Egregious Injustice"